KAMPALA- Finance minister Matia Kasaijja has called on the East African Community member states to stop rejecting each other’s products adding that this undermines the spirit of EAC integration. Kassaija made the remarks on Thursday at the official opening of the 26th International Trade Fair organized by the Uganda Manufacturer’s Association (UMA) at the UMA show grounds in Lugogo. According to Kasaija, when Tanzania rejected Uganda’s Sugar worth 400 million dollars, it undermined the spirit of trade in the region. 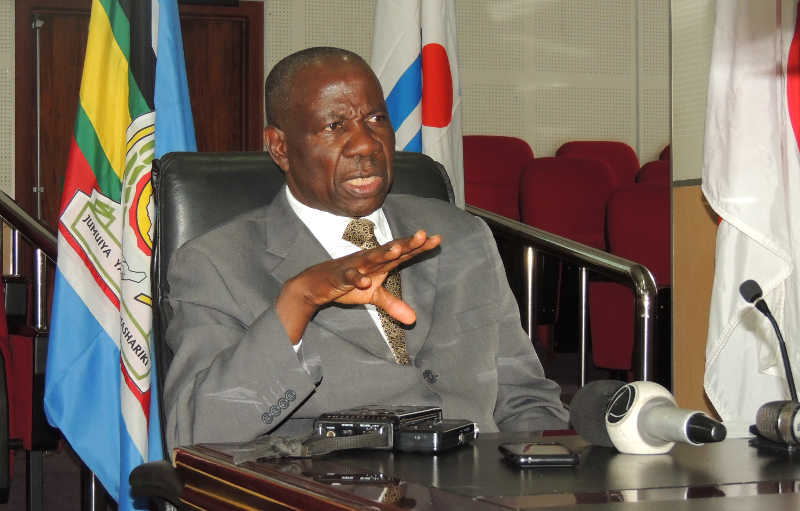 “My appeal to ambassadors is to take this message back and inform the leaders that we are colleagues in the East African Community as such we must work together,” said Kasaija. He added that despite efforts by him and the president to engage their counterparts in Tanzania, nothing yielded fruit instead, the president was told that sugar from Uganda had been re-exported to Tanzania. “We offered them space and time to come and inspect the factory where sugar was coming from, they insisted and the factory had to incur extra costs to ship the sugar back to Uganda in the process most of it was affected in terms of quality. He added that in future if any country within the region finds one product wanting, they should first engage each other and find a long lasting solution to the problem at hand. Kasaija was responding to a call by the minister of trade industry and cooperatives, Amelia Kyambadde that government should hand holder manufactures to EAC members states as a means of finding more market for goods made in Uganda. The fair that is running under the theme Enhancing Value Addition through Industrialization, a precursor for our economic growth and participate more in the National Regional and global value chains if we are to benefit more as an economy in areas of job creation and improved livelihoods, has so far attracted close to 1300 exhibitors.